Awesome! I will be writing the rules on a separate post than my first example, just because I think it is a little too much to take in all at one time, and that way, if you have questions, I can see them before my post goes live (and you have a higher opportunity to get tagged!). Just so you know, I will be posting my first character with this feature in the coming week, so keep your eyes peeled on the blog! Here's what this tag would involve! Step One: Select a character from one of the books you have read or fandoms that you are a part of. I recommend that this be a character from one of your favorite books, movies or otherwise, because you will be spreading some holiday cheer with them. Step Two: Dream up some holiday scenarios that involve this character! Do you see them participating in a Toys for Tots drive? Do you see them paying it forward by buying an elderly couple hot chocolates on a very cold day? Pick a "winter" or "holiday" scenario that you can easily see your character becoming a part of. I can help you out by listing a few examples. Most of these relate to Christmas, since that is a holiday I celebrate, but I tried to leave some open ended ideas. Do they like to sing Christmas Carols or other holiday music? Do they participate in a White Elephant or a Secret Santa? What do they do with their friends around the holidays? Do they make a holiday wishlist? Do they go on a shopping spree purchasing presents for their friends? Step Three: Write about it! You can describe your "headcanon" for this character, and why you chose the headcanon if you would like. You can look on Pinterest and include some pictures as well, saying you imagine your character in this place doing this action if you would like! Step Four: Conclude your post in any way that you would like AND tag other bloggers! I'm hoping this tag jumps from blog to blog, so tag as many bloggers as you would like! If you would like to, you can even suggest a book for them to pick their characters from. The only thing that I ask for everyone that participates in this tag is that my name and Blog URL are included as the person who started this tag. 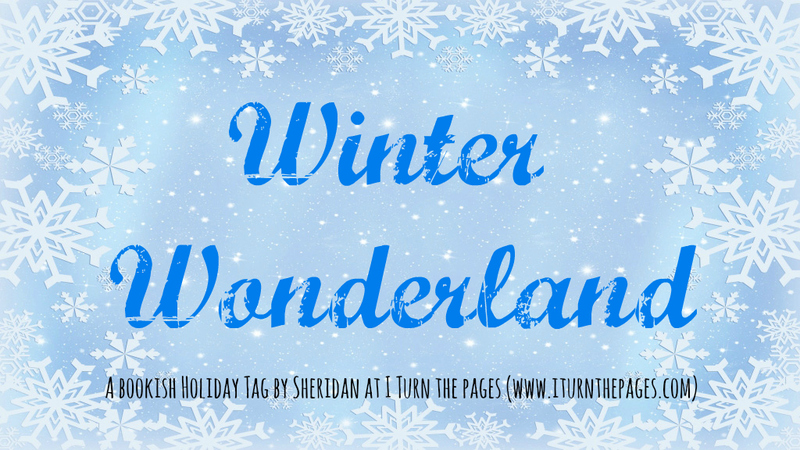 (I would recommend linking my first Winter Wonderland post - once I publish it - so that bloggers can get a sense of what this is supposed to look like!) Also, I ask that you include the rules somewhere in your post so that it is easier for other bloggers to participate as well!